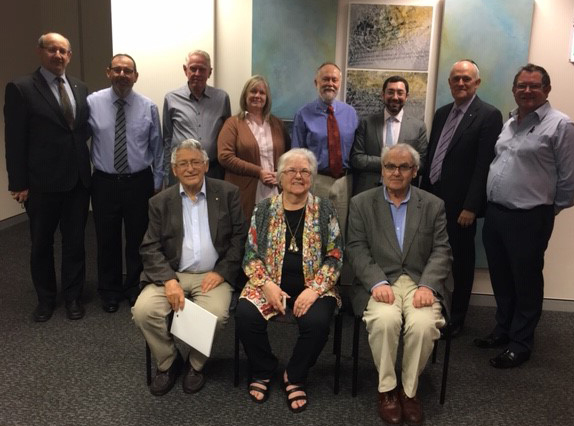 The 47th meeting of the Uniting Church in Australia and the Executive Council of Australian Jewry took place at the Uniting Church offices in Sydney on 8 November. Dialogue members spent time reading and discussing the book of Ecclesiastes, or as it is known in the Jewish tradition, Qohelet. By sharing different understandings of the same piece of scripture, new insights emerged. UCA Convenor of the dialogue Rev. Dr Matt Wilson said for Jewish people the book of Qohelet is associated with the festival of Succot during which the entire book is read as part of the service. However, the Christian lectionary only occasionally refers to Ecclesiastes. The most well-known passage is Ecclesiastes 3, a scripture often used at Christian funerals. “For a number of the Christian participants it was the first time they had read Ecclesiastes from beginning to end in a single sitting,” said Rev. Dr Wilson. The dialogue also discussed the review of religious freedom protections in Australia. Jewish dialogue members highlighted the importance of being able to freely discuss the failings of particular religious doctrines, practices or institutions. UCA members passed on the statement of sympathy issued by UCA President Dr Deidre Palmer following the Pittsburgh Synagogue shootings. Jewish members noted a coming report which details the rise of anti-Semitic speech and action in Australia in the past year.